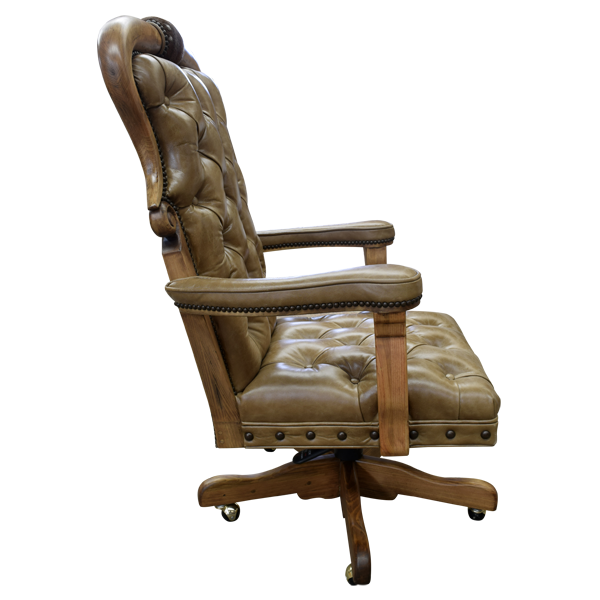 The beautiful finish on this handcrafted, Western style office chair complements its rich, brown, leather upholstery. 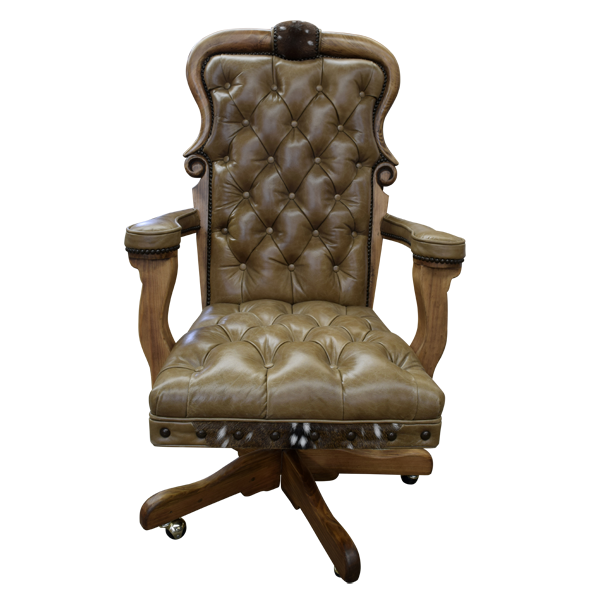 The solid wood molding on the seat back has a lovely, soft, brown finish, and the top of the seat back is embellished with hand carved, inverted steer horns. 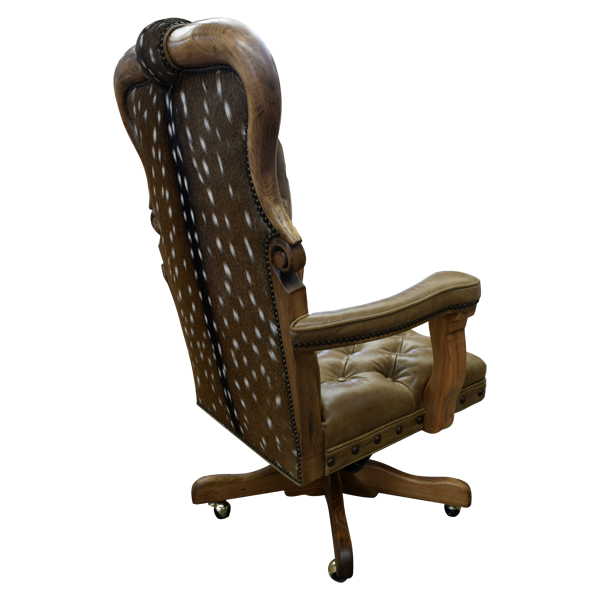 The office chair´s side moldings are adorned with lovely, hand carved, scrolled designs. 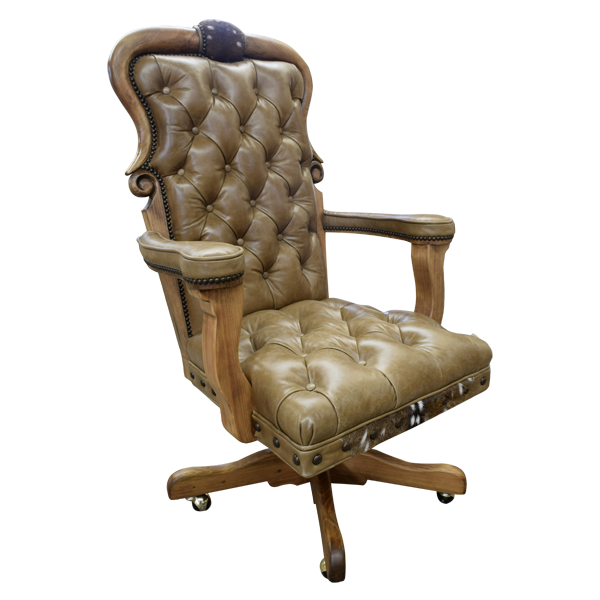 The seat cushion, the armrest, and the inside seat back of this office chair are upholstered with elegant, brown, full grain leather, and the seat cushion and the inside seat back have spectacular, button tufted designs. 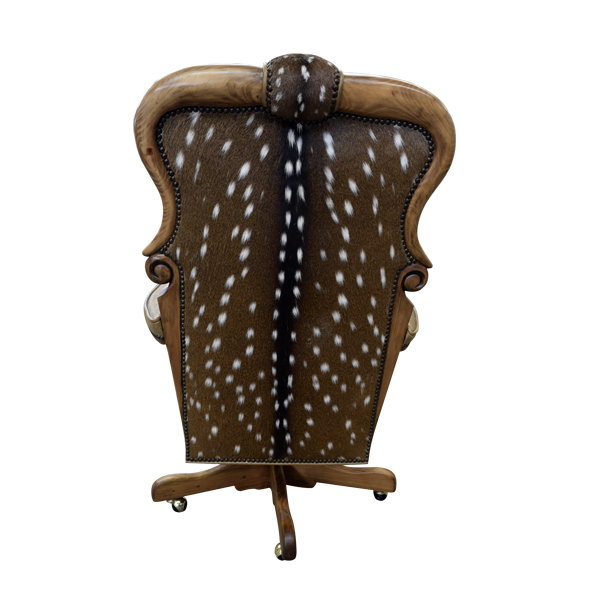 The reverse seat back and the front of the seat cushion are upholstered with luxurious, deer hide. The leather upholstery is double stitched together for extra strength and durability, and the upholstery is hand tacked to the solid wood frame with brilliant, gilt nails. Resting on solid wood, quadripartite, revolving supports, the office chair has caster wheels for extra mobility. It is 100% customizable.